Addicted to #Instagram? No worries, let’s use that addiction to increase website traffic with Instagram. 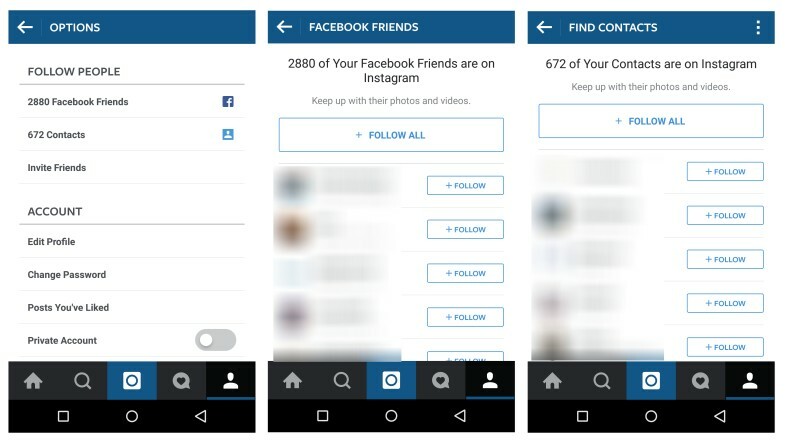 According to Mark Zuckerberg’s recent update, Instagram has almost 400 Million users. Don’t you think it’s time to make the most out of this? Earlier it was hard for me to manage multiple Instagram accounts, but now, thanks to their latest update, we can use multiple Instagram accounts on the same device. We can easily switch back and use the desired account to post the pictures. So if you are a Blogger, you can start a new Instagram account for your blog along with your personal profile. 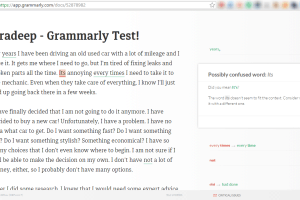 This will be really essential to brand your blog and increase targeted traffic. Let’s get started then. This is the first and foremost step. 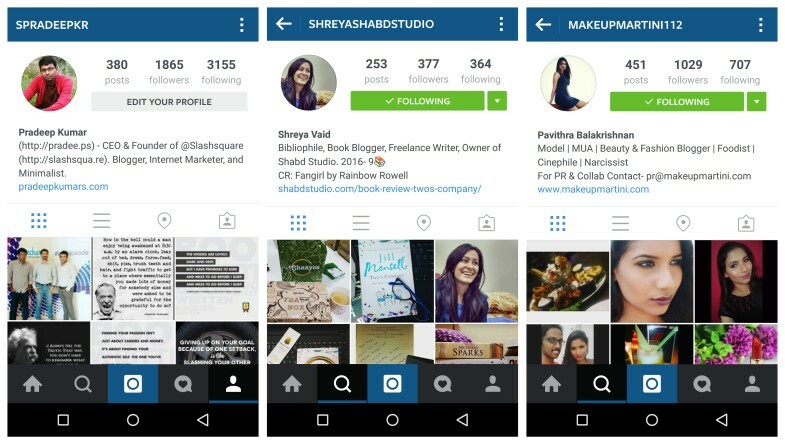 Instagram allows you to keep a website link on your profile and yes, it’s clickable. So you can keep your website’s homepage link (like I did), your latest blog post (like Shreya did) and you can also add your official email address on the profile bio (like Pavithra did) for getting PR and advertising opportunities. Instagram is a great platform for advertising, especially for Fashion products. Trust me, people do check out (or stalk) profiles and open the links. Either they are curious or bored, but they are indeed clicking those links. I use both the Instagram app and website for checking out links, so do others. We can’t exactly have clickable links on Instagram post description, so it’s wise to write a catchy and tempting description for your post and tell your followers to check out your profile for the website link related to this. 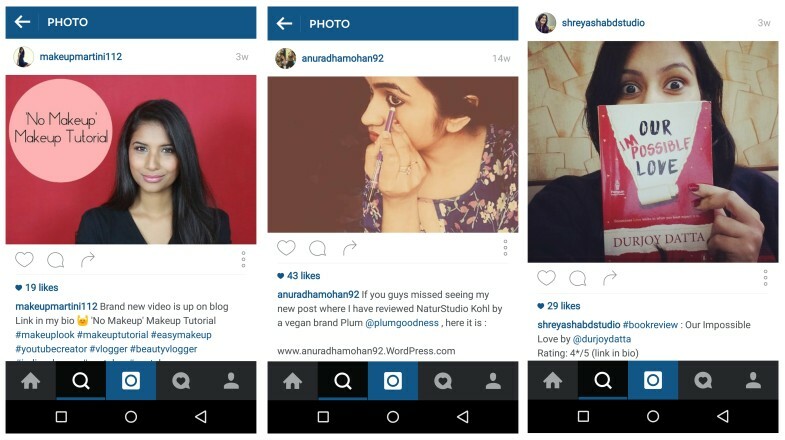 You can keep a catchy title like our friend Pavithra did for her MakeUpMartini post – “‘No Makeup’ Makeup Tutorial”. She kept an interesting image with this title and asked her followers to check out the link in her bio for the tutorial. You can also tag brands and celebrities in your description for more exposure, like our friends Anu Mohan and Shreya did here.  Anu Mohan reviewed a fashion product and tagged the brand name as well in her post description. She also mentioned her blog link along with that. So it’s really easy for her followers to open the blog/post asap and check out the product. Instagram is also pretty popular amongst book lovers, our friend Shreya reviewed a book on her blog and shared this update on her Instagram profile. She rated the book and also tagged the author in the description. 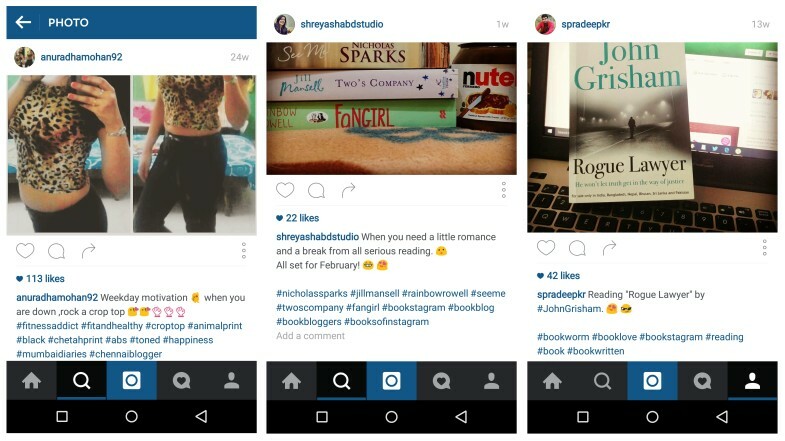 So if the author is an Instagram addict, then chances are high that he might visit the post and check her review. I personally do this to brand our blog network. We are having plenty of brands under our Slashsquare network and we felt Instagram is a great platform to give them enough exposure. We often create memes and other interesting pictures for our Social Media profiles, we majorly use them for Facebook and Twitter, but recently we started to do the same for Instagram as well. Our blog(s) logo is more or less clearly visible on each picture, so if someone is really curious about what we are doing, then that wonderful user might generously check out our blogs on Social Media or on Google. In the first picture, I decided to take a snap of the book I was reading along with our brand BookWritten’s Facebook page, so this is another way to promote your social media profile. If you check out the hashtags in the pictures above, you can see some of the popular Instagram hashtags for Fashion, Fitness, and Books. These are, to be honest, very effective to market your Instagram posts. You don’t exactly need to spam your post with plenty of hashtags, you can just make it around 10 to 15 related hashtags. Whenever I share a “Calvin and Hobbes” comic strip on Instagram I make sure I add the hashtag #CalvinandHobbes there, it’s very effective. You can check out the popular Instagram hashtags for niches like Fashion, Food, Books, Sports, etc and use them for your next Instagram post. This is another advantage of picking a short brand name, I used it as a hashtag. 😀 The hashtag #FoodGravy is kinda circulating amongst my friends, so whenever they eat something (and upload it), they’ll use our hashtag. Think like this, if you are a Food Blogger, and if you are using our #FoodGravy hashtag, then your fellow friends and followers might check this out and eventually they’ll start to use the same on their posts. If it becomes viral, you can expect an immense amount of traffic from this hashtag alone. I did the same for #BookWritten, #DeviceBAR, and other brands. 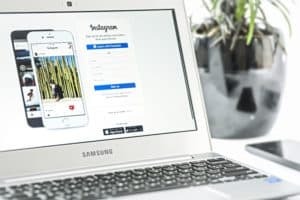 If you want to use Instagram Ads then you need to connect your Facebook page with the specific Instagram account. 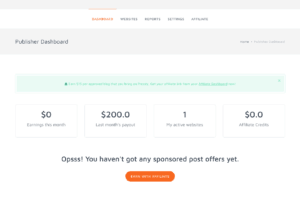 By this, you can use Facebook’s Ads Manager and Power Editor for creating your advertisements. 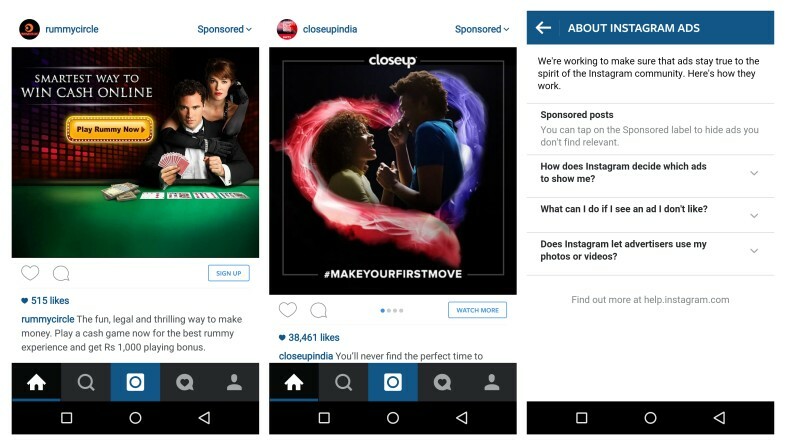 If you ask me whether Instagram Ads are effective or not, then it’s quite complicated I would say. It totally depends on your website’s niche. Instagram is totally popular with Food, Fashion, Books and generic topics like these. 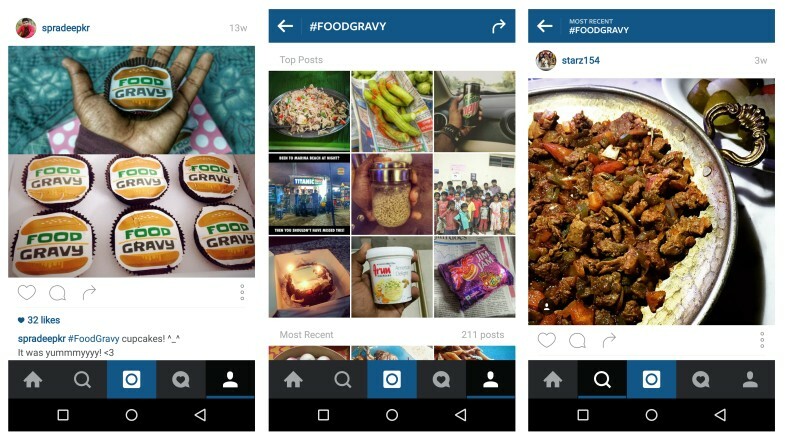 So if you have created a mobile app for Foodies and if you want to market it, then Instagram Ads could be really useful. You can keep sponsored posts and target foodies. You can easily track the app installations and conversions with this. You can do the same for increasing your website traffic with call-to-action buttons like “Sign Up”, “Learn More”, etc. Last but not least, without good (and targeted) followers, there is no point in optimizing Instagram for website traffic. So it’s vital to increase your Instagram followers. If your Instagram profile is associated with your Facebook profile, then you can easily check out the list of close buddies who are also using Instagram. You can easily connect with them and make them your followers. If you are running a Fashion blog, then you can check out the top trending popular hashtags for Fashion, see the active users and follow them. Depending upon your profile quality and your engagement, you can expect a follow back from them as well. This is a good way to get connected with like-minded folks. Do You Know Why Your Friends Hate Your Instagram Pictures? Yes? No? 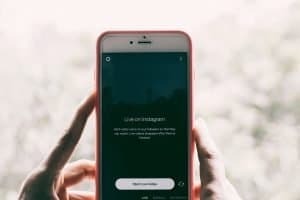 If you can follow these steps/methods, then you can easily increase website traffic with Instagram. I hope these tips are very easy to follow and most importantly, very easy to remember. Instagram is indeed a popular ‘photos’ social networking community. We also have the option to message other Instagram users, so you can forward your posts to some of your friends/followers if they are interested. 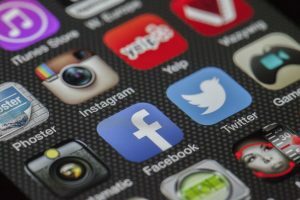 Most of the popular celebrities use Instagram, and even brands started to promote their products through this platform. So utilize it properly and get quality traffic to your website. If you have any queries, do let us know in the comments below. I have never been so good with Instagram. frankly speaking I hardly used it till now. But after reading your article I believe I should definitely try it and find out how good it will be for me. 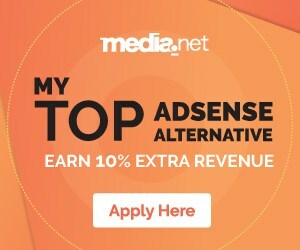 As more traffic is the need of every online business. I want to ask onething , suppose my website is realted to some other niche. And i loves to upload healthy food images to my instagram profile. In that should i add my website link in description or not? Becuase i think i looks unnatural while adding my link in a healthy food recipe image. Must say it was worth to read this guide. Currently I’m also focusing on my Instagram account as I got too addicted to it. So I thought to avail benefit from it. Within some days I got more than 3000 targeted followers on my instagram account and the changes I can see on my website. You can follow me @rahulthepcl. Good Instagram tips, Pradeep. I’m yet to travel on Instagram and get traffic from there. Adding logos and hashtags would help us to gain brand exposure. I’ll follow all your practical instructions to pull the audience to my blog from Instagram. I’m trying to be regular here, have a happy weekend. Hello pardeep … i never thought that we can use instagram for increasing traffic of blog thanks for such awesome tips …..
perfect usage of instagram can bring high quailty visitors to a blog..You have covered very single aspect of how to get more visitors to a blog with instagram..